State Theatre New Jersey just announced it's 2019-20 Broadway Season and with eight award-winning different shows! 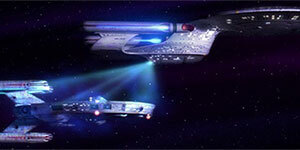 Single tickets go on sale July 19 but Season Tickets are available now! If you would like more info on any of the shows visit STNJ.org/Broadway. 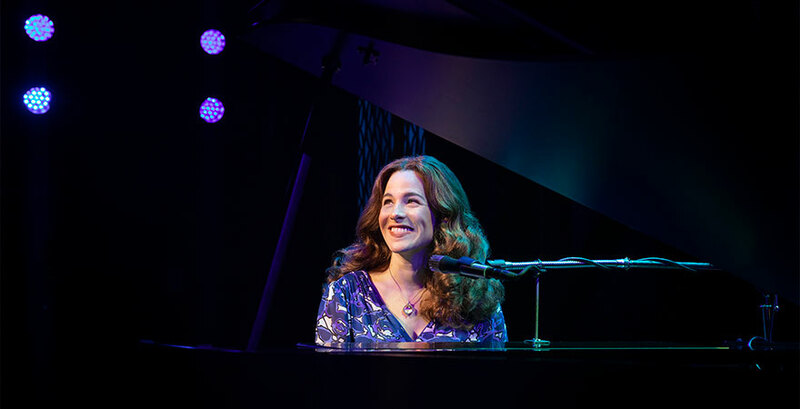 Check out this clip of Carole King introducing the Tony®-winner Jessie Mueller and the rest of the cast of Beautiful at the 2014 Tony® Awards. 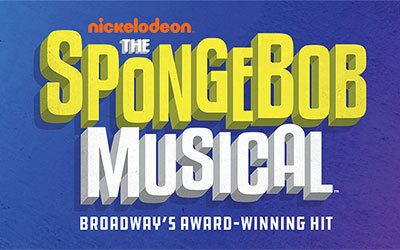 From November 29-December 1, 2019 we have Nickelodeon's The SpongeBob Musical. Compile a legendary roster of Grammy Award®-winners, a visionary director, a Tony Award®-winning design team, and one of the world’s most beloved characters and what do you get? The musical The New York Timesdeclares, “BRILLIANT!” Broadway’s best creative minds reimagine and bring to life the beloved Nickelodeon series with humor, heart, and pure theatricality in “a party for the eyes and ears” (Daily Beast). Enjoy the cast of the show performing the opening number, "Bikini Bottom Day," at the 2017 Thanksgiving Day Parade. Watch actor Joe Pesci, along with some of the original Four Seasons introduce Jersey Boys at the 2006 Tony Awards®. Closing out 2019 we have the revival of one of Broadway's longest running shows, Fiddler on the Roof, on December 20-22. Filled with musical hits you know and love, including “Tradition,” “Sunrise, Sunset,” “If I Were A Rich Man,” and “Matchmaker, Matchmaker,” Fiddler on the Roof is the heartwarming story of fathers and daughters; husbands and wives; and life, love, and laughter. Tony Award®-winning director Bartlett Sher and the team behind South Pacific, The King and I, and 2017 Tony®-winning Best Play Oslo, bring a fresh and authentic vision to this beloved theatrical masterpiece from Tony®-winner Joseph Stein and Pulitzer Prize winners Jerry Bock and Sheldon Harnick. Featuring stunning movement and dance from Israeli choreographer Hofesh Shechter, based on the original staging by Jerome Robbins. 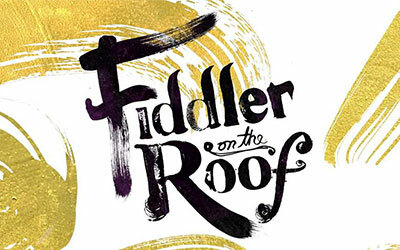 Watch Tony®-nominated Danny Burstein and the cast of Fiddler on the Roofperform "L'Chaim (To Life!)" at the 2015 Thanksgiving Day Parade. Starting off 2020 on January 30-February 1, we have the Tony Award®-winning revival of The Color Purple that exhilarated Broadway! 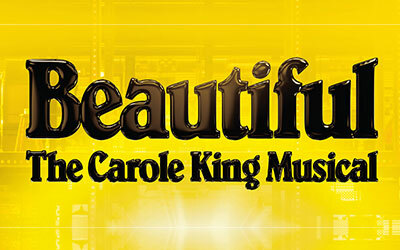 With a soul-raising, Grammy®-winning score of jazz, gospel, ragtime, and blues, this show is an unforgettable and intensely moving revival of an American classic. Based on the Pulitzer Prize-winning novel and Academy Award®-nominated feature film, The Color Purple leaves its mark on the soul. This joyous American classic about a young woman’s journey to love and triumph in the American South has conquered Broadway in an all-new “ravishingly re-conceived production that is a glory to behold” (The New York Times). With the first play in our Broadway Series we have The Play That Goes Wrongon April 2-4, 2020. Described as "Comic Gold!" by Variety, it's a combination of Sherlock Holmes and Monty Python and Broadway and London’s award-winning smash comedy! 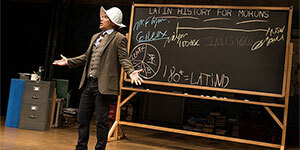 Called “A gut-busting hit” (The New York Times) and “The funniest play Broadway has ever seen” (The Huffington Post),this classic murder mystery is chock-full of mishaps and madcap mania delivering “A riotous explosion of comedy” (Daily Beast) that is “Tons of fun for all ages” (The Huffington Post)! This video from The Royal Variety Performance 2015 will give you just a hint of the comedy you can expect onstage. Winner of 7 Tony Awards® including Best Musical and coming to The State from May 8-10, 2020, Cats tells the story of one magical night when an extraordinary tribe of cats gathers for its annual ball to rejoice and decide which cat will be reborn. The original score by Andrew Lloyd Webber (The Phantom of the Opera), original scenic and costume design by John Napier (Les Misérables), all-new lighting design by Natasha Katz (Aladdin), all-new sound design by Mick Potter, new choreography by Andy Blankenbuehler (Hamilton) based on the original choreography by Gillian Lynne (Phantom),and direction by Trevor Nunn (Les Misérables) make this production a new Cats for a new generation! Enjoy the singing and dancing spectacle of "Jellicle Cats" and then the classic "Memory" as performed at the 2016 Thanksgiving Day Parade. Rounding out our 2019-20 Broadway Season is the winner of the 2018 Tony Award® for Best Revival of a Musical, Once On This Island, from June 5-7, 2020. This is the sweeping, universal tale of Ti Moune, a fearless peasant girl in search of her place in the world, and ready to risk it all for love. The groundbreaking vision of two-time Tony Award® nominated director Michael Arden (Spring Awakening revival) and acclaimed choreographer Camille A. 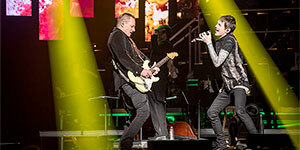 Brown (NBC’s Jesus Christ Superstar Live) conjures up “a place where magic is possible and beauty is apparent for all to see!” (The Huffington Post). With a score that bursts with life from Lynn Ahrens and Stephen Flaherty, the Tony Award®-winning songwriters of Anastasia and Ragtime, Once On This Island is a timeless testament to theater’s unlimited possibilities. Watch the cast of the Tony Award®-winning show perform on the 2018 Tony Awards®. Don't forget to head over to STNJ.org/Broadway to get all of the info on our incredible 2019-20 Broadway lineup!